The following Student TB Testing/Vaccination/Immunization Clinics will be held at our 125 Bell Farm Road location. 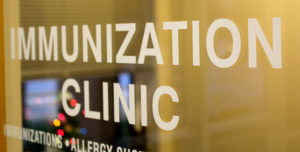 The clinics are walk-in only (no appointments) on a first come first serve basis. Registration will close when volumes are expected to exceed time limits. Fees will apply to services not covered by OHIP or GUARD.ME. PLEASE REVIEW THE STUDENT TB TESTING/VACCINATION/IMMUNIZATION INFORMATION CHECKLIST TO BE PRINTED AND BROUGHT TO THE CLINIC FOR YOUR VISIT.